The Akoli-Imenyi Health Center is a primary care health facility located in the village of Akoli-Imenyi, within Abia State in Eastern Nigeria- Bende Local Government. They provide prenatal services, deliver newborns, and provide postnatal services for both mother and baby. They, also, offer treatments for basic ailments including malaria, typhoid fever, diarrhea, pneumonia, and dysentery. Some of the other work done at the clinic includes HIV testing, immunization, and family planning. The clinic is primarily run by a nurse midwife who uses a team approach to deliver health care. 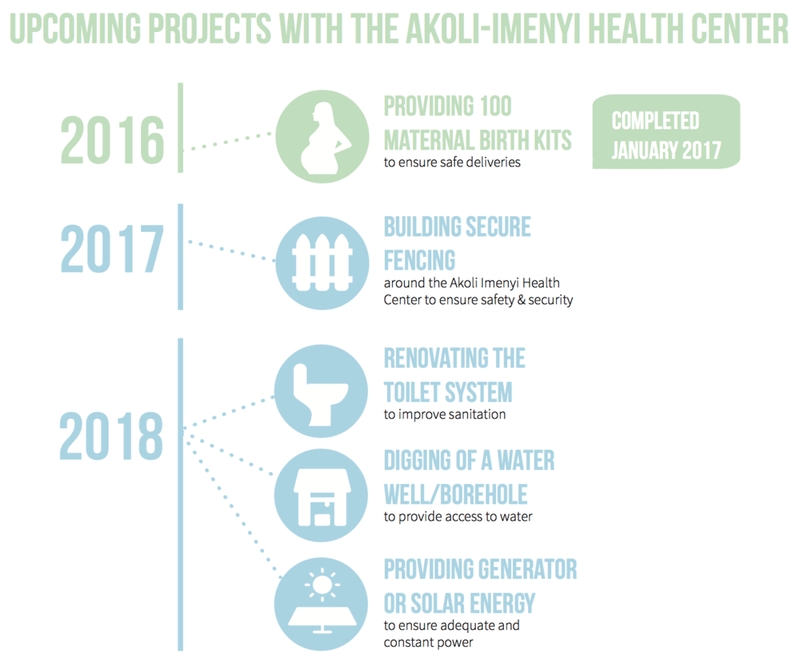 The community members of Akoli-Imenyi built the health center and have been able to provide services to the village members. While the clinic and its staff have been able to serve the community members thus far, their partnership with UMMF hopes to improve its standards of care. The hope of this partnership is that the health gap in Akoli-Imenyi will be reduced.